A strong El Nino has made it a challenging month for fishing with a series of strong colds fronts and their accompanying winds. Luckily we've had a few windows here and there and the anglers who didn't mind a little adverse weather were rewarded with some impressive catches. With the water hovering around 60 degrees, the tactics we employ are very different than when the water is 70 or above. This time of year we focus more on deeper water and structure. 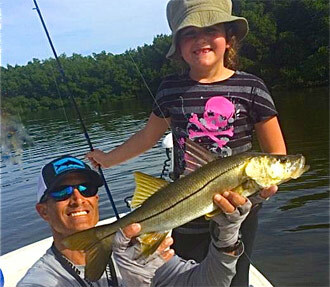 Targeting areas such as rivers and power plants, as well as residential canals is where we've been finding snook, trout, redfish and sheepshead. The docks and rocky shorelines hold some warmth for the snook and we've been catching some nice spotted seatrout in the the deeper holes. This time of year shrimp and soft plastics like the DOA Cal are the baits of choice. The sheepshead are plentiful around the dock pilings and are not only fun to catch but even better to eat. For them I like to downsize to 20lb fluorocarbon leader and hide a #2 hook inside a small piece of shrimp. 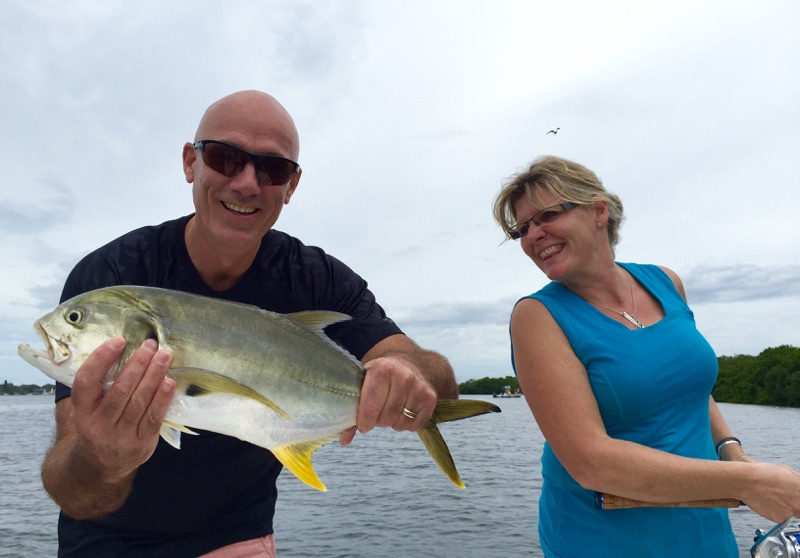 Also roaming the canals and eager to test your will is the hard fighting jack crevalle, AKA, "canal tuna". Although they are considered poor for the their food value, they are widely known as one of the hardest fighting fish in the ocean, pound for pound and I agree. They are very, very fun on especially light tackle. I always keep a topwater lure rigged to throw at a passing school or even behind a hooked fish to get a double header! The weather looks to be stabilizing and of course we'll be out there regardless. The fish still have to eat so we'll be out there catching them, we just have to work around whatever Mother Nature and her unruly child decides throw at us. With El Nino's grip appearing to loosen, for the moment anyway, I'm hopeful for a very productive next couple of weeks.